Japanese Episode 015: "The Battle of the St. Anne"
American Episode 115: "Battle Aboard The St. Anne"
After winning an Orange Badge from the Gym Leader Machisu, Satoshi and his friends are walking along a dock when they're approached by a duo of girls who give them free tickets to the grand luxury ship, the St. Anne. Unknown to our heroes, however, is that the girls were Musashi and Kojirou, working under orders from their boss on a scheme to lure trainers onboard and then steal their pokemon. 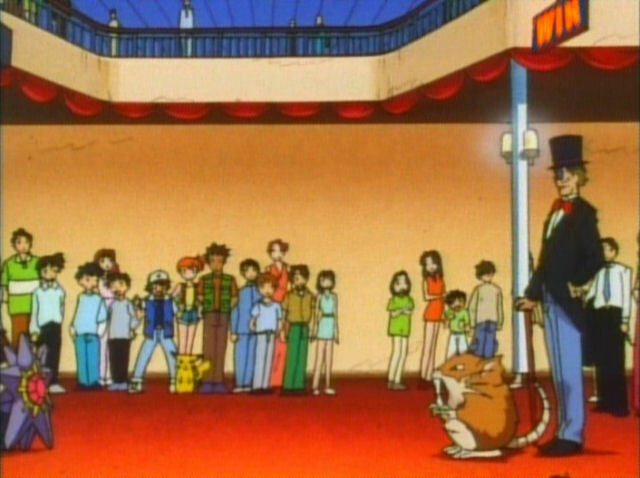 Onboard, Satoshi meets a Gentleman and decides to battle his Ratta with his Butterfree. After the match, the Gentleman approaches Satoshi and asks him to trade pokemon, a proposal that Satoshi eventually agrees to. 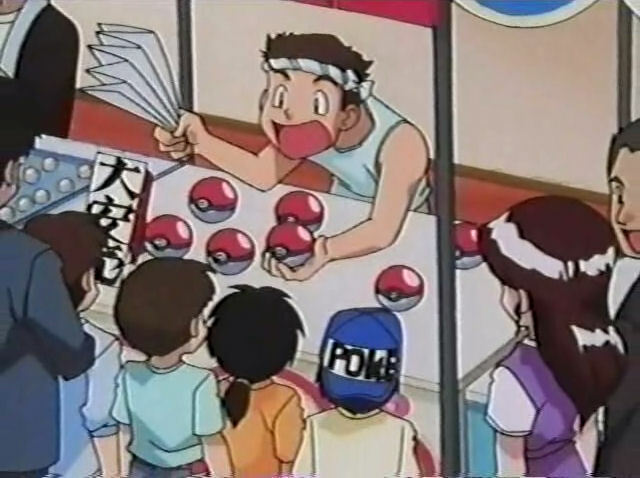 Meanwhile, Kojirou is tricked into buying a Koiking from a traveling salesman, an act that angers his teammates since the pokemon is deemed to be useless. Before they get a chance to find the salesman and demand a refund, the time of their raid on the ship arrives. Musashi-tachi and a bunch of undercover Rocket-Dan grunts launch their attack, but all of the trainers unite to defeat the evil henchmen. Unfortunately, an explosion occurs in the process, creating a hole in the hull of the ship. Water floods into the St. Anne as everyone rushes to escape, but Satoshi stays behind to trade and get his Butterfree back. 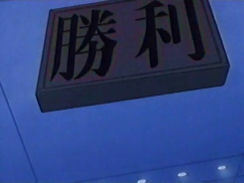 The ship suddenly jolts, and Satoshi and his friends are knocked unconscious. Meanwhile, Musashi-tachi, who had stayed behind to retrieve the Monster Ball with Koiking in it, are knocked unconscious as well. The captain and all of the other trainers escape the sinking ship, unaware that Satoshi, Kasumi, Takeshi, Pikachu, Musashi, Kojirou, and Nyasu are still in the ship! Will our heroes make it out alive? To be continued! This episode starts a nice three-parter that I really enjoyed. While we did have an (unofficial) three-parter with Satoshi capturing all the starter pokemon, this is the first time where we have actual cliffhangers and continuity and all that good stuff. I kind of wish the events of this episode occurred in the games, though; you would ride the ship, get attacked by the Rocket-Dan instead of just randomly fighting trainers while the ship's docked, the ship would sink, you'd have to find your way out, ward off a bunch of Gyarados, and then get stuck on an island with giant pokemon. Wouldn't that be fun!? This episode also gives us the introduction of Sakaki, a character who looked like he would be the main villain of the series but really just kind of fizzled out as time went on. It's kind of depressing, really, to watch these episodes, see how much potential is there, and then continue to watch as the anime completely squanders it. No big showdown with Sakaki, no huge scheme that threatens the world, nothing. Sakaki, in these episodes, voiced by the late Suzoki Hirotaka. It's also interesting to note how Musashi and Kojirou are important enough, in this portion of the series, to actually be given direct orders from the boss and command over a group of Rocket-Dan grunts. Sakaki will eventually completely forget who the hell they are, but for now, it's interesting to see how he actually sorta-kinda has some amount of confidence in them. This is also the first episode with the Koiking salesman, a character who seems like he'd just be a one-shot but has ended up appearing in every one of the series so far. You may wonder why I have two dates up there for the American airdate. 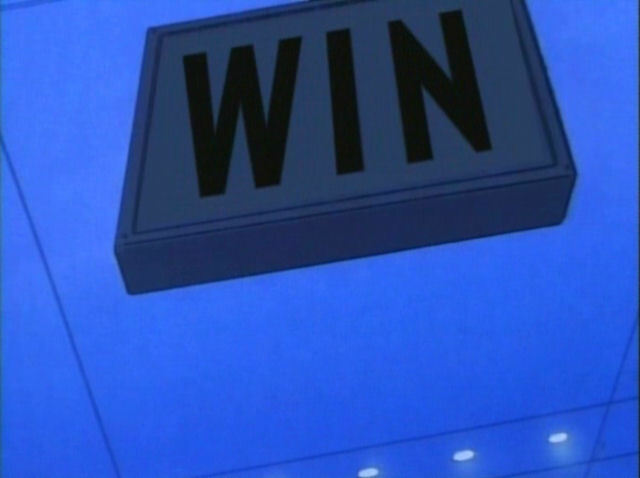 You see, 4Kids or Nintendo or someone decided that the first episode wasn't really that great an episode to hook fans to the series, so they picked a more action-packed episode to start things off. I sorta kinda agree with them, because the series does take a few episodes before it really gets interesting. 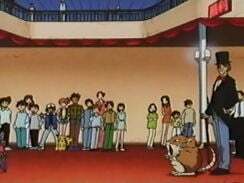 Plus, this episode ends with a cliffhanger, ensuring that fans would come back to watch it the next day to see what happened. So, a slightly different version of this episode was made for that first day. All they did was, at the beginning, have the narrator say something like "This is a special sneak peak of Pokémon." Then at the end, they had him say "Will our heroes escape? You'll have to wait a little while to find out, but tomorrow we'll see how Ash's Pokémon journey began" or something like that. That "sneak preview" version only aired once, and now whenever this episode's aired, it's the regular version. So the Rocket-Dan's disguises in this episode seem to be based on ganguro, a fashion trend that was popular at the time this episode came out that had girls tanning their bodies to ridiculous levels and wearing bright, contrasting make-up. Some people argue that Rougela is actually supposed to be based on the fad, but when you see a picture of Musashi and Kojirou from this episode and compare it with a picture of the ice pokemon, I think it's pretty obvious which one's actually mocking the fad. Also, when James is a girl, he constantly says "Cool~!" This is actually very close to what he says in Japanese - Kojirou says "Chou~!" (ultra-, super-, cool, etc.). To tell the truth, I kind of like James' version better...it just sounds funnier. Sure, "chou!" sounds funny, but it doesn't have that ridiculous super-girly tone to it that Eric Stuart's James has. Oh yeah, and when James does that little giggle (as Jessie is saying "radical" a few times to make Ash's next line make sense), Kojirou doesn't giggle - he just says "chou~!" again. I guess 4Kids thought it looked more like he was giggling than saying "Cool~!" again, so I guess I can see where they're coming from. No big loss. 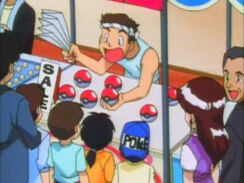 And when Jessie is saying "To-ta-lly-Free!," Musashi says "Pu-re-se-n-to" ("present," as in the fact that the tickets are a "present" to Satoshi-tachi). *sigh* I miss the days when Japanese was edited out but then was actually translated instead of just left blank. So apparently, the aforementioned sale shot (and the next shot with all the merchandise spread out on the table) was kept in the syndication broadcast but was removed whenever Kids' WB! would air the episodes. The scenes are present on the DVD, though, so it looks like this may be one of the first Kids' WB!-only edits in the series. The sign over the Gentleman in the Japanese version has the kanji for shouri (win) blinking red after his Ratta defeats the other trainer's Starmie. We see the sign again in the upper right-hand corner of the very next shot. 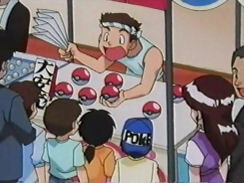 The Koiking salesman charges 30,000 yen for the Koiking set, while in the dub, he charges $300. That's a pretty accurate translation there, so the ridiculousness of Kojirou having to borrow money to afford something that only costs about $300 is present in both versions. The first overhead shot of the ship right after the commercial break is shortened by two seconds in the dub. When Satoshi is rethinking his trade on the outside of the ship with Kasumi, he calls the man whom he traded with a "Gentleman" (as in the Gentleman class of trainers in the games). In the dub, Ash simply calls him "that guy." A second is added to the TO BE CONTINUED.. screen.